Born Francis Blackwell in Syracuse North Carolina in 1903, Scrapper grew up in Indianapolis in a musical family, his father a fiddle player. He built himself a guitar from old cigar boxes and developed a single-note picking technique in the Piedmont style. He met pianist Leroy Carr and formed a duo with him, in 1928 recording with Carr the big blues hit of that year "How Long How Long Blues". He also made solo records, including "Kokomo Blues" which was later reworked by Robert Johnson as the classic "Sweet Home Chicago". His relationship with Carr was stormy, with Blackwell dissatisfied with the credit he received, and their last recording session in 1935 ended prematurely with the artists parting on bad terms because of an argument over money. Carr died soon afterwards, mainly a result of his heavy drinking, and after recording a tribute to Carr, Blackwell pretty much retired from music. Spurred by the blues revival, he came back to recording in the late '50s, and having made a couple of albums, was about to resume his career full-time in 1962 when he was shot in a mugging in Indianapolis, and died aged 59. 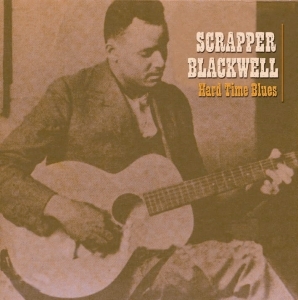 Blackwell was a relatively unsung blues figure, who does not get the attention he merits. Acrobat has a collection of some of his recordings from his early career, both solo and with Leroy Carr. For details click here.